Thanksgiving always falls on the fourth Thursday of November, giving many corporate and government employees a four-day weekend. While traditionally a time to enjoy family and begin decorating for the holiday season, the weekend has developed into a multifaceted retail extravaganza, composed of Black Friday, Small Business Saturday and Cyber Monday. The most common story of how the term “Black Friday” came into use is that stores that were “in the red,” or operating at a loss, throughout the year could move “in the black,” or operating at a profit, if they made significant sales on that day. The term was not in widespread use until the late 1980s. 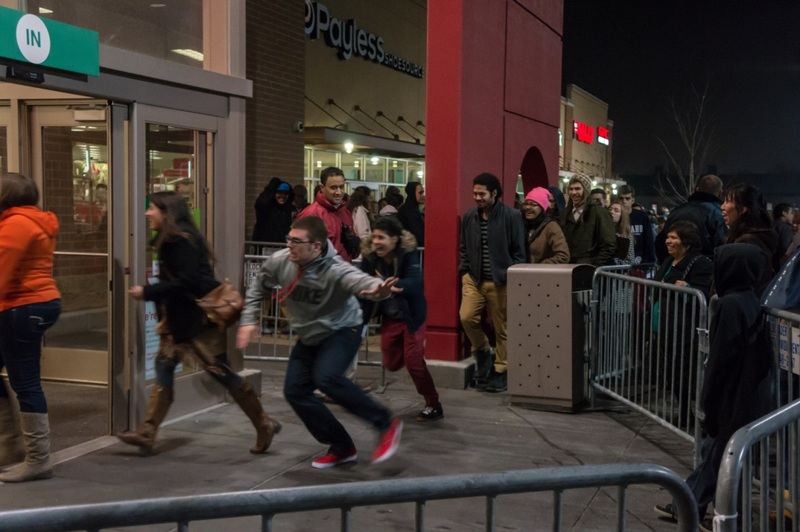 During the 1990s and early 2000s, Black Friday sales began earlier and earlier, with stores opening at 7 a.m., then 5 a.m., then 3 a.m., then midnight. In the past decade, many retailers, such as Best Buy, JC Penney, Macy’s, Sears and Target, have opened during the evening or afternoon of Thanksgiving Day itself – at least in most states. Three New England states (Maine, Massachusetts and Rhode Island) prohibit stores from opening on Thanksgiving as part of blue laws that prohibit economic activity on holidays. In 2003, Black Friday officially became the busiest shopping day of the year, a distinction that would continue for more than a decade. The future of the day is mired in doubt, with last year seeing the lowest level of participation since 2011. Recent data indicate that Super Saturday, immediately before Christmas, is now the leading shopping day of the year. $16.2 BILLION – The total amount spent by shoppers at small retailers on Small Business Saturday in 2015. Founded by American Express in 2010, the day is observed as a way to honor the nation’s entrepreneurial spirit. The day after Thanksgiving isn’t only a time for retail bargains. California State Parks, the California State Parks Foundation and Save the Redwoods League is sponsoring free vehicle day-use passes at 116 California parks, including Orange County state beaches. More information is available online. Do you work in retail and wonder how it can help you in your quest for a career? Gain insight on sales careers through Mihaylo’s Sales Leadership Center. For more information, stop by SGMH 5357B, send an email to slc@fullerton.edu or visit them online. For a full list of center events this semester, see their fall calendar.